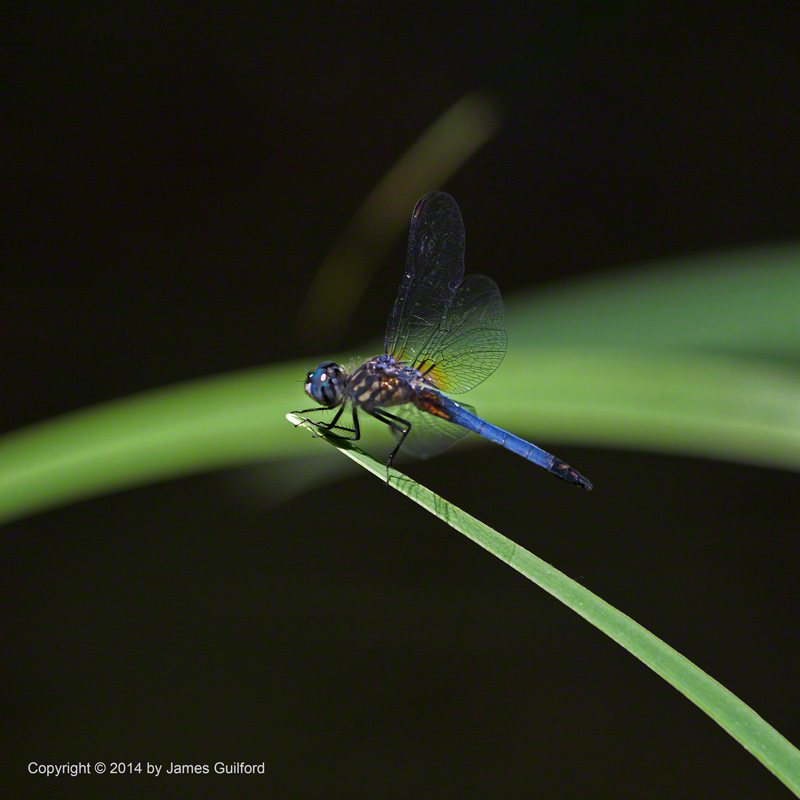 I was reviewing my recent efforts at photographing my favorite insects, dragonflies, and was growing discouraged. Recently it just seemed I couldn’t catch a break. Maybe my missing “luck” was due to a want of recent experience. Last year wasn’t a particularly good one for dragons though this year looks to be very good. Whatever the reason, I was deleting way more images than what I considered worth keeping. Until I came across this one. It was shot late last month in Lorain County on the edge of a pond abuzz with dragonflies. It all came together: a gorgeous dragon, perched atop arches of green leaves, against a nearly black background. I’m feeling much better now.